You may tend to wear that one pair of shoes for pretty much every event, but it doesn’t necessarily mean it’s the best choice of action. It’s a good way to mess up your favourite pair of shoes by doing things that it was not necessarily meant for. I wasted a lot of my favourite stylish dress shoes by wearing it on while skating; they just got worn out very easily and there was nothing left from the soles. Hence, I had to waste more money in the long run. Don’t make the same mistake and buy a quality pair of footwear for every event. Puddles of mud can ruin your favourite pair of shoes in an instant, hence hiking boots are necessary to wear whenever you decide to go out in mother nature. You need footwear that’s softly cushioned, snug, and sturdy. Waterproof boots are a bit more expensive, but they are worth every penny because mother nature is unpredictable. Attack your next excursion with the rough and ready Pallabosse Hi Cuff L boot! When buying running shoes you have to know your running gait as well as your foot arch. Running with improper shoes is surely the easiest way to mess up your feet and knees in the long run. Running shoes need extra cushioning soles and fit well with your feet. 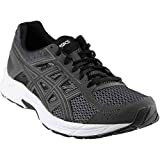 Brands such as Asics, Nike, Adidas have a whole line of shoes specifically dedicated for runners. With exercise shoes you can have more leeway and room. Assuming you will be lifting, biking, or doing cardio stationary, any type of footwear that gives you balance is good. Shoes with thin soles and are fine, hence casual shoes are an option if you don’t have to go shopping or buy new ones. For business meetings, presentations, and other important events, it’s usually best to wear dress shoes or formal shoes. Who knows, perhaps you can rock a pair of Sketchers or casual shoes with format attire, but mostly it look unprofessional. Unless you are Steve Jobs, a Rockstar, Mark Zuckerberg etc, you don’t have much room to be a rebel. 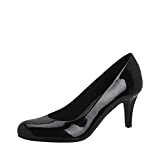 That does not necessarily mean you have to be all boring and wear what everyone is wearing there are great professional selection of shoes both for women and men. Going on a date? You probably don’t want to be wearing any type of exercise, running, or sport type of shoes unless you are a fitness trainer, athlete or someone who does something related to sports for a career. This is a good time to showcase your personality a little but and wear something that defines you. What kind of person are you? What are you interested in? Your attire should match with the type of person you are, especially your shoes. Most people will argue and tell you to look your best and dress in a fancy manner, but I disagree. Why would you want to portray a false image of yourself when you are trying to find someone who will accept you for who you are. Women especially make quick judgments of who you are as a person based on your shoes and how clean they are. So if you are guy, make sure your shoes are clean and that you wear something that personifies you without going too much overboard. Not sure what exactly to wear? In case you have no clue on the type of footwear you need, casual or professional looking shoes are the standards. Make sure they go well with your outfit though, because dress shoes on shorts and sweatshirt just does not mix. 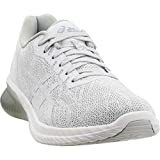 If you don’t want to be necessarily fancy or attract too much attention, then casual shoes that are stylish but yet comfortable on your feet will do. There are great selection of boots, converse-heels, and sometimes casual sporty shoes you can choose from. If you are unlucky enough to live in a cold country with lots of snow, then there is a trade-off between style and selection vs practical winter shoes. Obviously you want boots that will keep your feet warm and grounded on the floor. Make sure the soles are rugged or have some sort of traction. 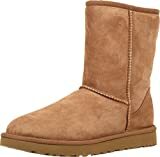 Uggs boots are pretty much a standard selection for women. For men, you could try formal looking type of winter boots. There are stylish boots/dress shoes that retain heat quite well.